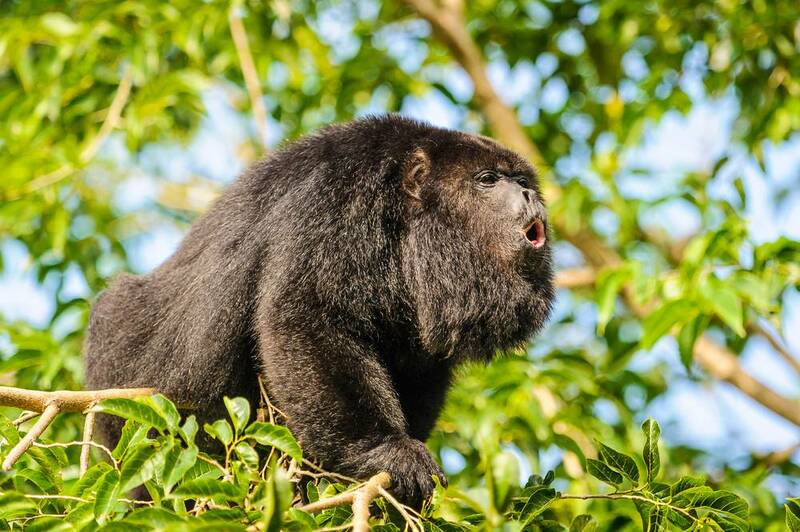 Go off in search of Capuchin Monkeys on the trail to Zapotal Beach, Guanacaste, Costa Rica. On this tour our experienced guides will take you on a trekk around the mountains and sea-level lowlands around Playa Flamingo, Costa Rica. 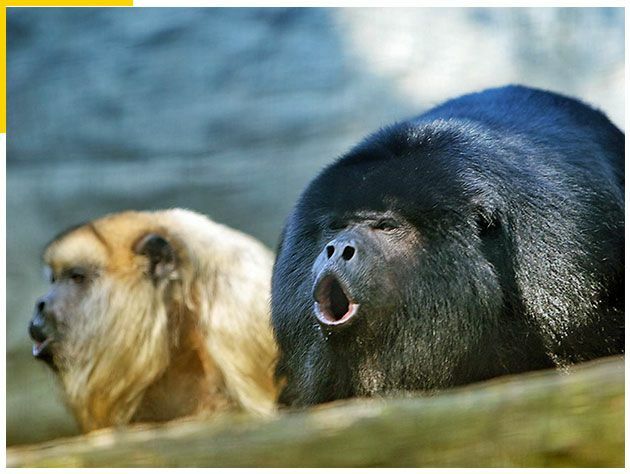 Different species inhabit and co-exist with their human counterparts. 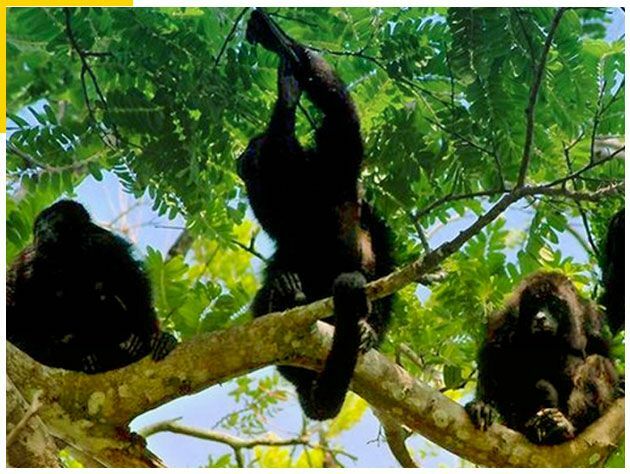 Follow a trail of monkey bridges and canopy paths and find families of monkeys inhabiting local Guanacaste trees indegenous to the area. 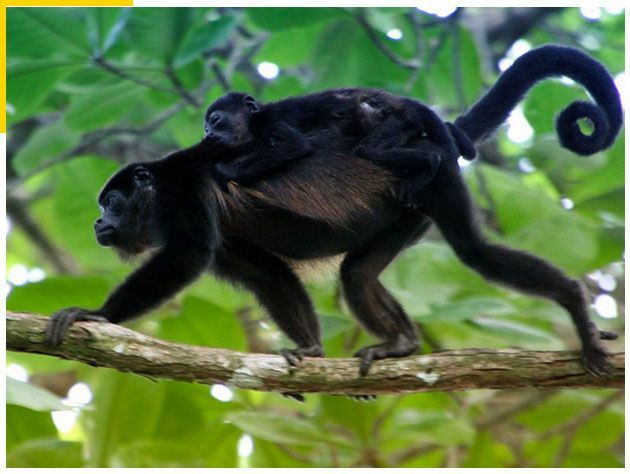 Then go off in search of Capuchin Monkeys on the trail to Zapotal Beach, Guanacaste, Costa Rica. The ATV Monkey Sanctuary Tour, Flamingo Beach, Costa Rica is one of our most popular Guanacaste ATV tour activities. Visit the Monkey Sanctuary at the Top of the World Monkey Trail. On this tour not only is the scenery is breathtaking, but you will also stop at the world famous Monkey Sanctuary. About the Congo Trail Monkey Sanctuary, Costa Rica: Orphaned baby monkeys are not always adopted by another family of monkeys but if they are found in time they are brought here. Unfortunately they never develop the skills to survive in the wild so they must live at the sanctuary forever. Your ATV tour price includes admission to the Monkey Sanctuary which helps cover the operating costs. Then hop back on your ATV and ride home via the Donkey Trail for some advanced and challenging ATV riding (Optional) down to sea level then visit 3-5 different beaches (Dantita Beach, Danta Beach, Prieta Beach, Penca and Potrero Beach) on the final stretch. On private tours guides can stop for lunch if requested. This is one of the best Flamingo ATV Tours available in the area and we at Flamingo Adventures pride ourselves on having the best Guanacaste ATV tours available when visiting the area. This is one of the best excursions Guanacaste Costa Rica has to offer.